The November 3rd Fly Day is no longer accepting registration for kids to fly. We are sorry you missed us this year. Check back in January for the 2019 date! Pilots and Volunteers still need to register. 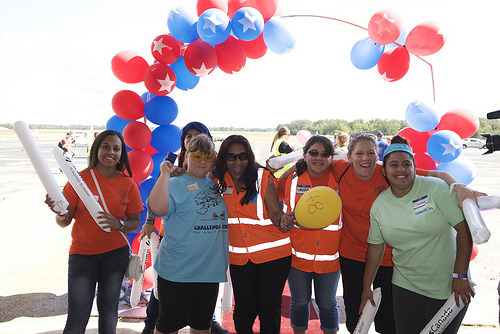 Fifty special needs kids and their families got to experience the wonder of flight thanks to a group of volunteer pilots with Challenge Air. The nonprofit charity provides children with disabilities an opportunity to build their self esteem and confidence through aviation. Special needs children and their families had the ride of their lives at Tyler’s Historical Aviation Memorial Museum on Saturday. It was a big day for a group of visually impaired teens in Austin. They were able to head up into the sky with the Texas non-profit, Challenge Air. The group mainly operates through volunteers who want to share their love for airplanes. So far they’ve had more than 30,000 special needs kids and teens hop into their planes, some even get to fly them. Challenge Air is not only in the air, but on the air. Watch how we are making an impact in the lives of special needs children across the country. We have captured photos of our favorite Fly Day moments in each of our locations. Preview our past. Be a part of our future. Keep in touch with Challenge Air through Facebook, Twitter and Youtube. Share your experience with us and help spread the word about our great cause.